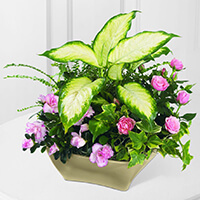 Provide comfort for the family of Dorothy Park with a meaningful gesture of sympathy. Mrs. Dorothy Mae (Roland) Park, age 78, of Florence, Indiana, entered this life on October 6, 1940, in Grant County, Kentucky, the daughter of the late, Arthur and Martha Katherine (Wainscott) Roland. She was raised in Aurora, Indiana, where she attended school. 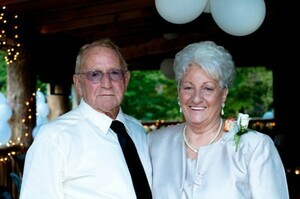 Dorothy was united in marriage on November 6, 1954, in Switzerland County, Indiana, to the late, Orville Robinson. 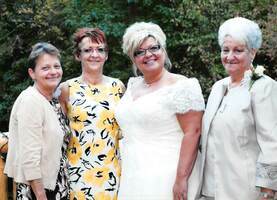 This union was blessed with three daughters, Helen, Deanna and Kathy. She was later united in marriage on April 19, 1980, in Nashville, Indiana, to the late, Raymond Clarence Park. Dorothy and Raymond shared over 37 years of marriage together until he passed away on December 1, 2017. Dorothy was employed for the Plastic Molding Factory in East Enterprise, Indiana, for 15 years and for Randall's Textron in Vevay, Indiana, for five years. She was also employed for TG & Y in Madison, Indiana and in South Carolina. Dorothy co-owned and co-operated Ray's Package Store in Vevay, Indiana, for 10 years. She also co-owned and co-operated Robinson Laundromat in Vevay, Indiana, for five years. Dorothy had resided in the Switzerland County community since 1967. 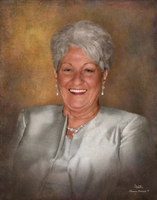 She was a faithful patron of the St. Jude's Children's Research Hospital and Veteran's Organizations. Dorothy enjoyed going out on the boat and fishing with Raymond, driving a golf-cart, traveling and keeping a meticulous home and lawn. Dorothy passed away with her loving family by her side at 8:50 a.m., Saturday, December 29, 2018, at her residence. Dorothy will be deeply missed by her daughters, Helen Marie Wainscott of Vevay, IN, Deanna Dolby and her husband: Chris of Sanders, KY and Kathy Wyatt and her husband: Stan of Perry Park, KY; her grandchildren, Jeremy Springer and his companion, Vanessa, Amanda Dunavent and her husband, Chad and Samantha Dowey and her husband, Steve; her great-grandchildren, Kyndal, Izzy, Maddie, Dolan and Hunter; her grand puppies, Bentley, Truman and Maggie; her brothers, Charles Roland and his wife, Barbara of Aurora, IN and Raymond Roland and his companion, Cheryl of Bear Branch, IN and her several nieces and nephews. She was preceded in death by her parents, Arthur and Martha Katherine (Wainscott) Roland; her husband, Raymond Clarence Park, died December 1, 2017 and her brother, Marvin R. Roland, died May 29, 2016. Funeral services will be conducted Wednesday, January 2, 2019, at 1:00 p.m., by Rev. Joe Kindoll at the Haskell & Morrison Funeral Home, 208 Ferry Street Vevay, Indiana 47043. Friends may call 11:00 a.m. - 1:00 p.m., Wednesday, January 2, 2019, at the Haskell & Morrison Funeral Home, 208 Ferry Street Vevay, Indiana 47043. 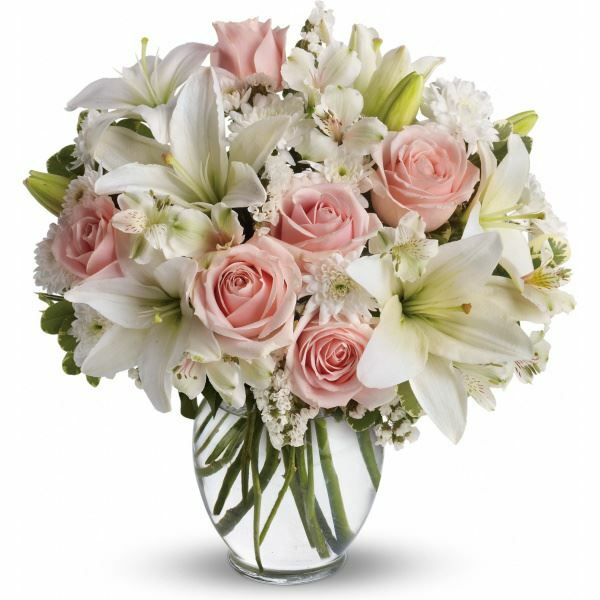 To send flowers in memory of Dorothy Mae Park (Roland), please visit our Heartfelt Sympathies Store. Donations are being accepted for: AMERICAN LEGION (185 E C DANNER). Moody's, Humpert's, Washel's, Poor's, and Moore's, Donna and Paul chervenak, and others have sent flowers to the family of Dorothy Mae Park (Roland). Heartfelt Sympathies Store purchased flowers for the family of Dorothy Park. Moody's, Humpert's, Washel's, Poor's, and Moore's purchased the The FTD Garden of Grace Planter for the family of Dorothy Park. Deanna, I’m sorry doesn’t begin to heal your pain. there are no words to comfort you in this time of heartbreak and sorrow.. . We can only ask god to wrap his arms around us and guide us through this time. And days to come .. prayers for you and your family.. please know I’m thinking of you and praying you find comfort in the memories you shared . With your beautiful mother . . Love you my friend ... god bless you and your family... I’m s phone call away. Rita Merrick . Nancy , ky ..